We first communicated with Mandy Fer (Ferrarini) and Dave McGraw about their upcoming November show at Chestnut House Concerts 10 months ago. Since that time we’ve built an online friendship with this duo from San Juan Island, Washington who met & started their music in northern Arizona. They sent us their CD, Seed of a Pine, allowing us to become familiar with their music – and we sent them numerous venue recommendations on our coast to help them fill out their tour. Their friends and music collaborators Allison Russell & J.T. Nero (Birds of Chicago) opened our 13-14 concert series in September. It’s not long into the CD until the listener begins to understand the connection between this group and the natural world. Seed of a Pine contains song titles such as “Grow”, “So Comes the Day”, “Western Sky” and “Serotiny”. I have to admit that I needed to ask Tim about “serotiny” – when pine seed release occurs in response to an environmental trigger (like fire) rather than spontaneously at seed maturation. Tim explained that in some trees, like the Ponderosa Pine, the cones are covered with a wax which in a wildfire open in response to the heat of the blaze, scattering seeds onto soil newly fertilized by nutrients in the ash. Dave McGraw is a wildlife biologist and both his and Mandy’s songs contain phrases such as “tornado of joy”, “pouring like rain”, “thirsty ripe sage”, “landscape of violence and joy”, “wind blow so soft now”, “tallest pine top” and “riverbed longing for the rise”. They sing about love, places they have been, and the natural world. They take turns singing the lead on their songs, Mandy plays electric guitar and Dave acoustic guitar. 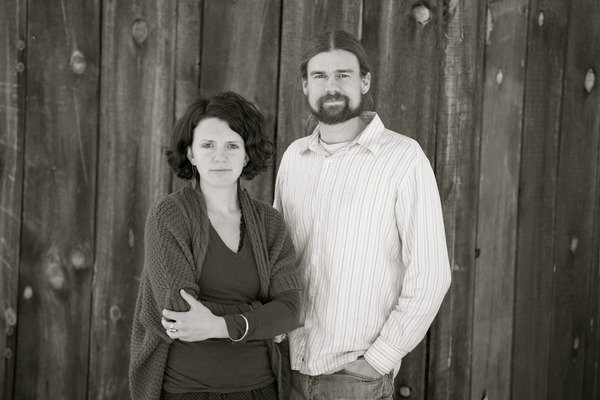 Others have likened their sound to artists Greg Brown and Patty Griffin. At Chestnut House Concerts we ask for a donation at the door of $15 – $20, and because it is a small venue we do need to know in advance that you would like to attend. Please call/text 717-940-9311 or email Tim at tlehman9@gmail.com. There’s an introductory video of Dave and Mandy below – but you can see them in person on Saturday, November 16th. Potluck at 6:00 pm, the show starts at 7:00 pm. This entry was posted in Upcoming House Concert and tagged Allison Russell, Chestnut House Concerts, Dave McGraw, J.T. Nero, Mandy Fer, San Juan Island, Seed of a Pine, serotiny by chestnuthouseconcerts. Bookmark the permalink.